Today, sadly, we lost another link to the days of Classical Hollywood with the passing of Ernest Borgnine. I don’t typically write obituary pieces here, because I’m honestly someone you’ll typically find disdaining the hoopla that often surrounds the death of major celebrities. However, Ernest Borgnine probably won’t have every detail of his funeral plastered all over 24 hour news channels, nor likely have his death and life fetishized beyond all boundaries of good taste by special commemorative issues of People or Entertainment Weekly, so I feel confident that eulogizing him in my own way will still fall firmly on the side of good taste. 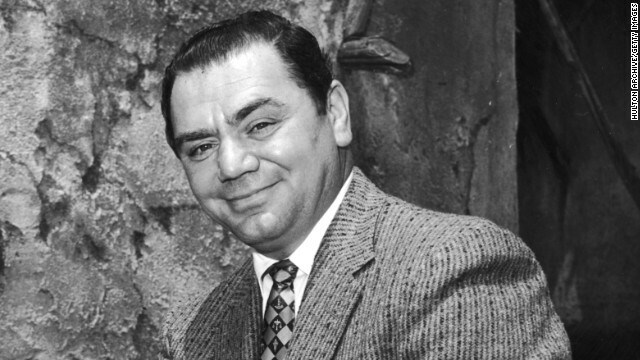 Though Borgnine wasn’t the biggest star of either his time or all time, he was popular enough to be instantly recognizable, and he was an outstanding character actor in an era where Hollywood recognized that not everyone in a movie’s cast had to be gorgeous enough to grace Vanity Fair and GQ. If there’s one word, though, that would probably best characterize Borgnine, whether he was playing villains or heroes, it would be “gruff.” Borgnine was no one’s idea of handsome, nor was he often physically fit. But he portrayed an aura of grit and worldly experience, and of manliness and power, with so little effort it would be easy to believe he wasn’t actually acting. Borgnine may have been a “type,” but like the most enduring figures of both film and television, he was a type that was entirely his own, and someone whose talent and appeal will never be duplicated. 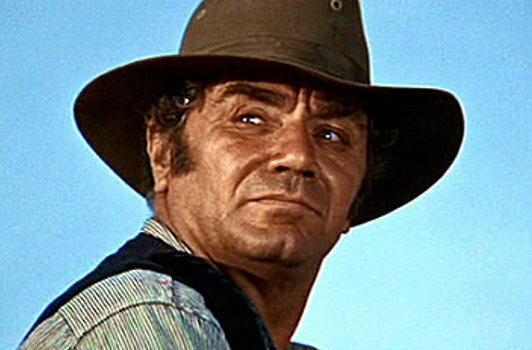 Borgnine’s famous turn in Sam Peckinpah’s “The Wild Bunch,” was probably the epitome of his “gruff” persona. Though he didn’t originate the role – Rod Steiger did, and brilliantly, too – Borgnine gave it a life and passion that made it unforgettable (and won a Best Actor Oscar to boot). Though Marty is a beloved and famous movie (it’s one of only two films in history to have won both the Academy Award for Best Picture and the Cannes Film Festival’s Palme D’Or), it still stands as a singular film, one that speaks to the invisible insecurities of the male self-image in a way that few films since have ever dared to. For that reason, it’s always spoken to me, too, and more and more as the years go by. I can’t deny that Marty and I have a lot in common. I’m in my early thirties, presently forced by economic circumstances to live at home with my aging mother. Like Marty, I often feel defined by my heartache, with a heart that’s been broken by life so many times it just doesn’t seem to go back together again anymore. Worse than that, like Marty, I’m not at all handsome, I’m overweight, and I live every day with social anxiety disorder. Some years ago, I even faced a situation like Marty’s, where after having given up on every making a true connection, I met someone who I thought could be special, and took a chance on romance that I never thought I would take again. Unfortunately for me, it ended up being the most humiliating, debasing, and disappointing experience of my romantic life, and it appears now to have finally put to rest for me any dreams I may have had of finding love or having a family of my own. But at least I’d always have Marty to feel my pain, and to give me the fond hope that when he picks up the phone at the film’s end to ask Clara out for another date, that everything for him, at least, is going to turn out all right. On a conscious level, I guess I shouldn’t be particularly sad for Ernest Borgnine – at age 95, the man lived a full life, including a decorated naval career during the Second World War, and he forged, over generations, an amazing legacy of work in film and television. But, as a person myself who has lived a life long-defined by the cinema, now seeing Borgnine pass into eternity, I can’t help but feel that there’s one less person in the world who spoke, not only to me, but for me, and for men (and women) like me. We’re the kind of people who live with loneliness and shyness in a culture that disdains the expression of such feelings, that scorns and mocks the unattractive and the awkward, and that holds all of us up to images of perfection for which we’ll never be able to compare. Even in this world, Ernest Borgnine had to live, for much of his career, with being considered “gruff.” But for me, and millions of others, he’ll always be, first and foremost, our Marty. Posted on July 9, 2012, in The Antiscribe Analyzes (Essays). Bookmark the permalink. Leave a comment.